Oldham council tax is set to rise by an average £80 for band D properties. When talking about the need to increase council tax at the council meeting on the nineteenth of February OMBC stated “We are still seeing significant growth pressure in children’s services which is looking like more than £8 million” This is £8 million of extra spending that was not planned for this financial year 2017/18. The Council also go on to state that a £701,000 funding grant they received for adult social care will be diverted to general social care instead of being passported to adult social care as it should be. In 2016, the latest figures we have, Oldham Council spent less per head on adult social care than every other Greater Manchester authority. It is scandalous how local politicos and so called journalists in this borough cover up the pressures caused by Oldham’s ludicrous birth rate in central wards, pressures caused by medical conditions which occur as a direct consequence of the rather distasteful practice of inbreeding and current record levels of inward high fertility migrants bringing foreign born children to Oldham. 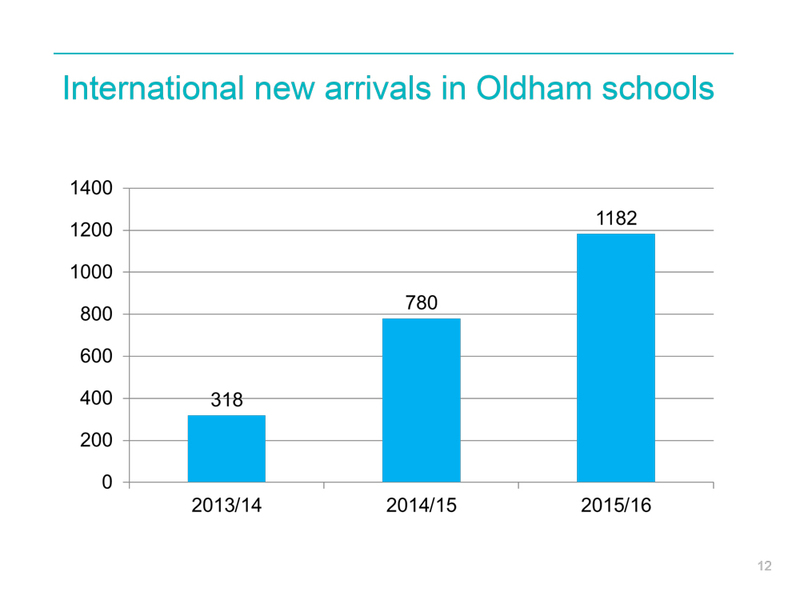 From 2013/14 to 2015/16 the number of foreign born children in Oldham schools increased by 372%, schools across Oldham are having their capacities greatly increased to accommodate pressure caused by mass immigration both Crompton House and Greenfield Primary School are due to have their capacities doubled. 55% of the increase in child numbers in Oldham in 2016 was a direct result of immigration you can read our story about this here. Labour Oldham are only concerned with securing extra government funding to accommodate the ever escalating numbers of migrants they are not interested in reducing the demand on services or reducing Oldham’s huge benefit bill which includes the fourth highest payment rate of tax credits in the UK. Oldham continues to house around 700 asylum seekers on a rolling basis year in and year out currently there are 762 in Oldham while the majority of UK local authorities have withdrawn from the asylum dispersal service and do not have any asylum seekers in their areas.